Juliane Boljahn, was born and raised in Germany. She graduated in 2012 at the European School for Physiotherapy in Amsterdam and is about to finish her Master studies in Sports Physiotherapy at Bath University in United Kingdom. She has been working for 6 years in the Gulf region mainly in sports and musculoskeletal physiotherapy as well as post-surgical rehabilitation. Juliane enjoys working with active people, aiding them to get back on track after injury and helping them reach their full potential, as well as help to prevent injuries. 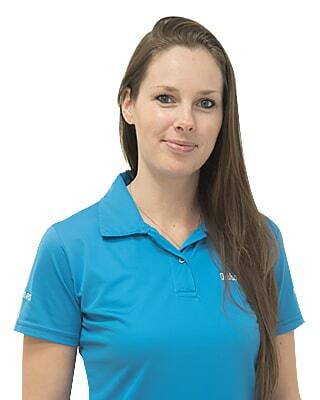 She combines exercises therapy with various manual skills, always seeking to reach patients goals. In the past, Juliane was the physiotherapist of a handball team and was involved in several major athletics competitions. She loves to work with athletes from various ages and sports and is playing tennis herself. Recently she found her passion in working with children and adolescents and therefore did post-graduate courses to further specialize in this field.